By the way, the lady's face is so strikingly lifelike that my ipad camera did an auto face focus. Nicely done Mr Menzel. I won't go through in detail how to play Rokoko, it's pretty detailed with lots of parts but basically in short you have a deck which you can manage by buying cards. This deck determines your actions in the game. Each player starts with the same basic characters with abilities but new ones are bought and that is how the game is different for each player. 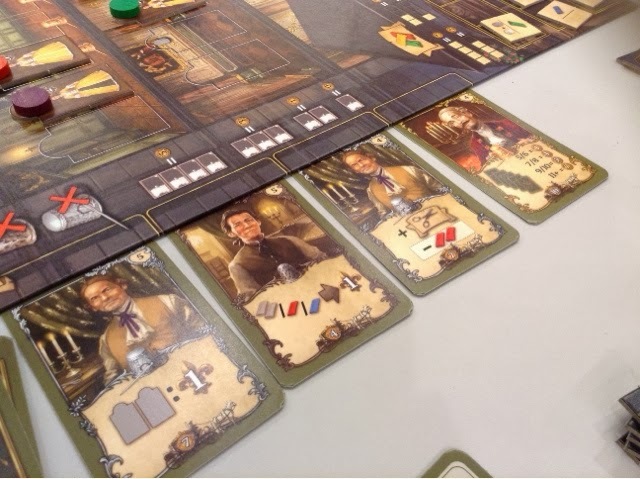 With these characters, players buy resources to make dresses that score points and are placed in areas to score more points ( think area control ). Money is crucial and can be used as donations to secure end game points, these donations also have multiplier effects for some of the dresses you create throughout the game. There are other nitty grtitty details but you will find yourself mainly buying characters, getting resources, and making dresses for its area control and end game points. 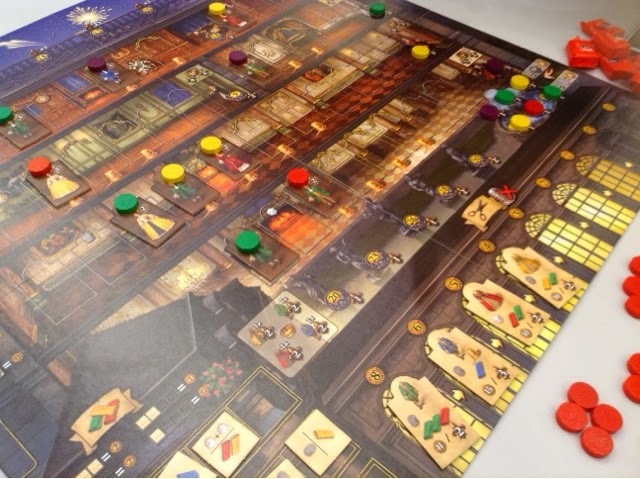 I really enjoyed my play of Rokoko, so much so that I might just pick up a copy tomorrow. The fact that I am still unsure worries me slightly though. But I can't put my finger on why. It seems different enough from what I have in my collection. The deck management is definitely interesting though it is in fact only a slight variation from other deck management systems. 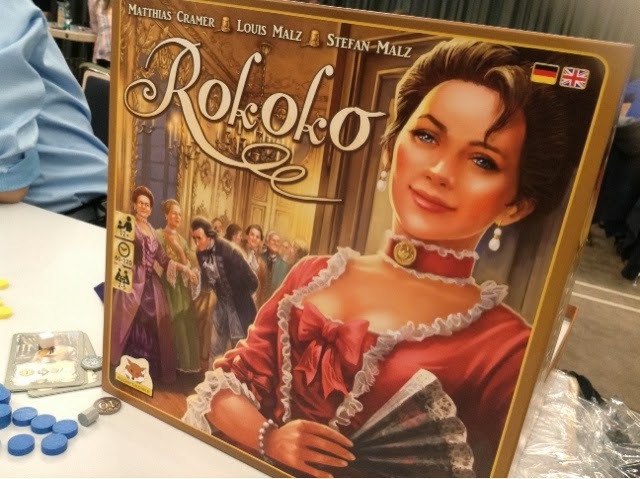 The resource collection and dress making is obviously found in most euros but I think it was done in a very elegant way in Rokoko. Turns went quick after the slightly sluggish opening round. The last round took slightly longer but that is understandable. I am not sure about the replayability as the main ways to score points are rather straightforward. So in the long run it might suffer in this aspect. Overall Rokoko was a very nice way to end our day. I was engaged throughout and there were moments where you really needed to do something before someone else and you could feel your plans slightly ruined by someone else's actions. In-game Thoughts: turns are quick and important, now why didn't I buy that guy earlier ?